The story of the two of you in the place you will remember. Why to have wedding at our hotel? The picturesque village in the Central Slovakia hidden in the arms of beautiful mountains, forests and meadows will create unforgettably beautiful memories of your wedding. Do you want a traditional ceremony in a church or an exceptional one in the open air? In the village of Donovaly there is St. Anthony of Padua Catholic Church where Holy Masses including the wedding ones are celebrated every day. If you have decided to have wedding outside surrounded by the beauty of the Nízke Tatry mountains, we will be pleased to help you prepare it. Our Residence team will be available to you during the whole wedding planning process. 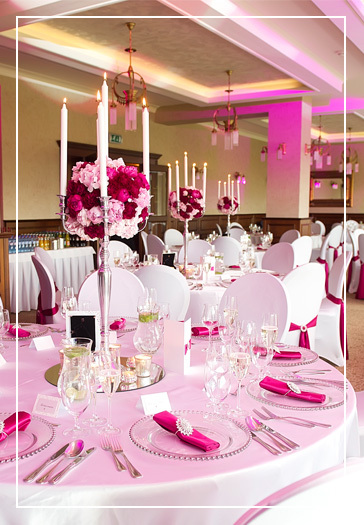 We will help you with every step of the decoration, programme, catering selection and preparation, and much more. The wedding will be under control of our wedding manager and you will be free to enjoy your big D day. Our Kids Club and our professional staff services are available upon request even during weddings. 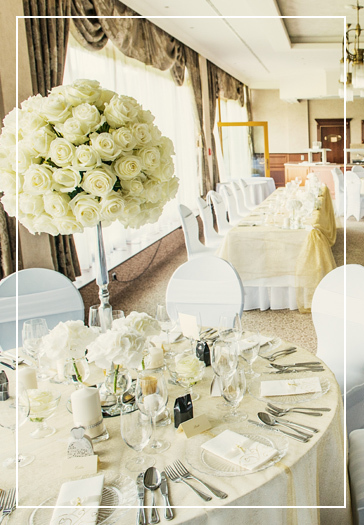 The Grand Restaurant or the Diamond Hill Restaurant with built-in dance floor are ideal space for wedding reception. The capacity of the Grand Restaurant is up to 80 guests and the dance floor is not a part of restaurant. The capacity of the Diamond Hill Restaurant is 60 guests and the dance floor is a part of restaurant. There is the possibility to divide the Grand Restaurant and the Diamond Hill Restaurant with a steady wall or join them providing complete privacy, or it provides you with an ideal space for big or small weddings and celebrations with the capacity up to 180 guests is formed. There is possibility to connect the restaurants with the lobby bar or provide you with an outdoor party tent directly on the hotel terrace. The interior of the hotel offers beautiful places wedding photo shoot. We will show you all places and provide them for photo shoot. It is very popular to have wedding ceremony directly on the terrace where we can prepare all as desired. 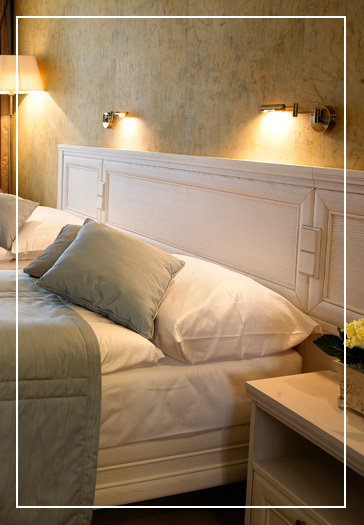 RESIDENCE HOTEL & CLUB offers lodging in elegant, tastefully furnished rooms and suites which meet the highest quality standard. There are also one or two bedroom suites with the sitting room, a wet bar and balcony. Lodging capacity is 190 beds in 66 double bed rooms and 29 lodging rooms. Each room has LCD television, Internet access, a telephone, safe, minibar, and the bathroom with a bath. The balcony in each room or lodging room enjoys breathtaking view of the mountains around. 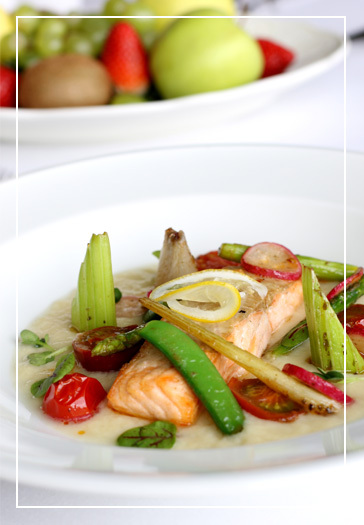 While compiling regularly updating menu, our chef is inspired by the philosophy “food as medicine”. Our kitchen is focused on quality and seasonality. We can guarantee that the excellent cuisine and spectacular view of the surrounding mountains will join to produce a unique culinary adventure with fantasy. There is the possibility to divide the Grand Restaurant and the Diamond Hill Restaurant with a steady wall or join them providing complete privacy, or it provides you with an ideal space for big or small weddings and celebrations with the capacity up to 180 guests is formed. To increase the capacity, there is possibility to connect the restaurants with the lobby bar or provide you with an outdoor party tent directly on the hotel terrace. There is possibility to connect the restaurants with the lobby bar or provide you with an outdoor party tent directly on the hotel terrace.